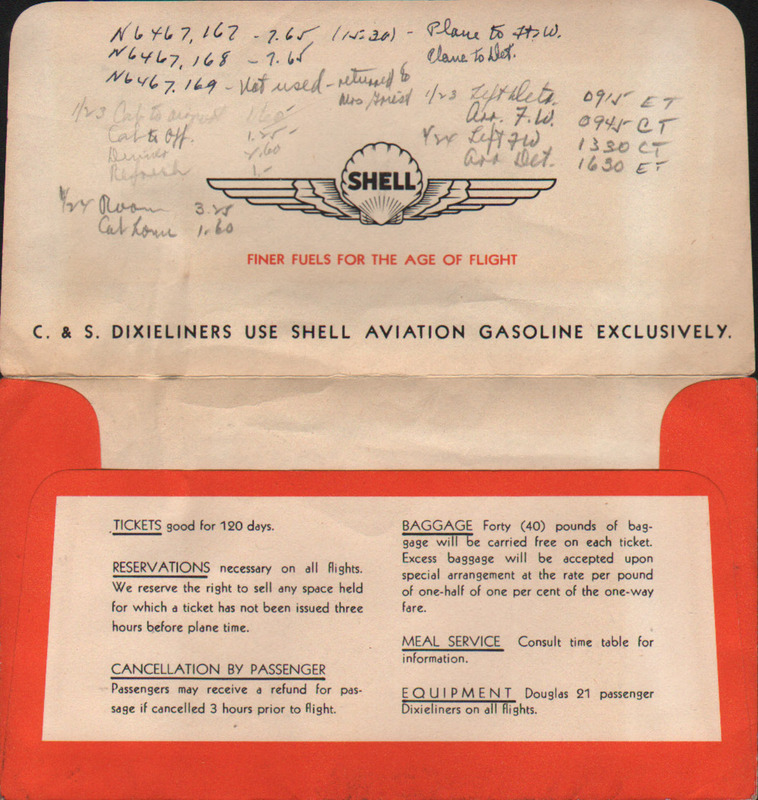 Description Chicago & Southern Air Lines (C&S - Sometimes known as Chicago and Southern Airlines) 1946 The Valley Route Ticket Envelope (Jackets). 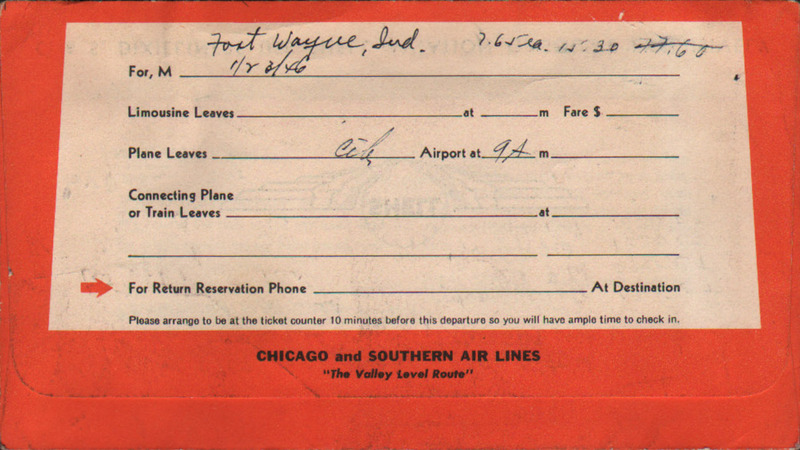 Dixie Liner Service. 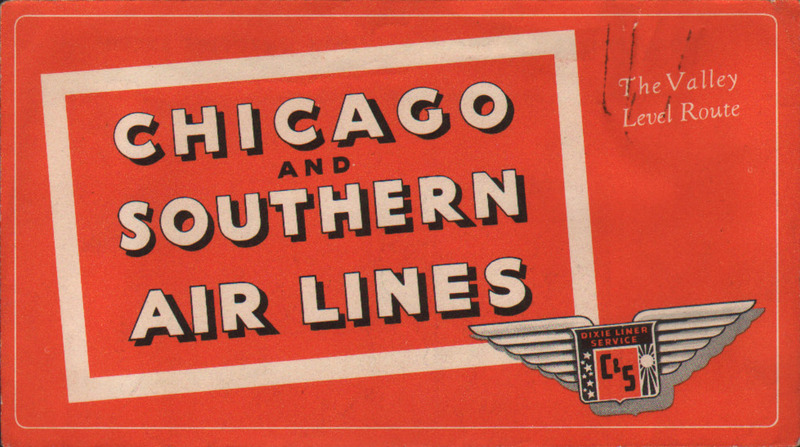 Was purchased by Delta Airlines in 1953.